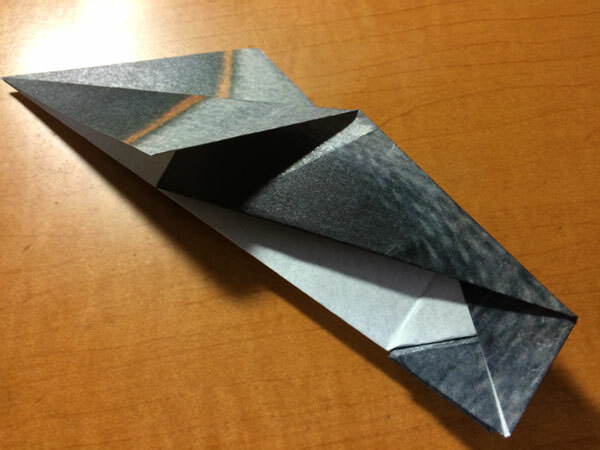 I got this origami “REALFAKE ORIGAMI” at village vanguard, or funny goods shop in Tokyo. 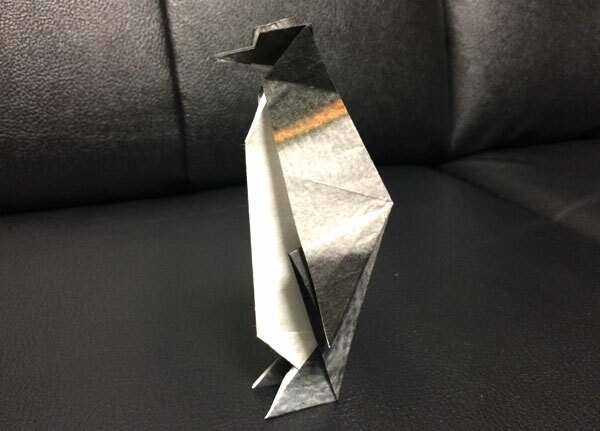 The skin of penguin and seal is printed on the paper. Other than penguin, there are various series such as a panda and giraffe. Oh… penguin’s skin… of course it’s not fluffy. The smell of the paper is good… haaa… It has English instruction of how to fold it. Reading explanation, I fold it carefully. I tried only by reading English but I soon gave up. It’s difficult to even read and understand Japanese instruction. Maybe it’s because it’s been 10 years since I did origami before. By the way, I think, I should do this kind of thing together with a girlfriend or someone. I feel sad making origami alone in the middle of the night … and I don’t have a girlfriend. But when I see it look like a penguine, I’m a little happy. I feel like I’m making a creature! I didn’t understand some parts of the explanatory leaflet and I wanted to throw it away through the window of my house a few times but I finally made it!!! 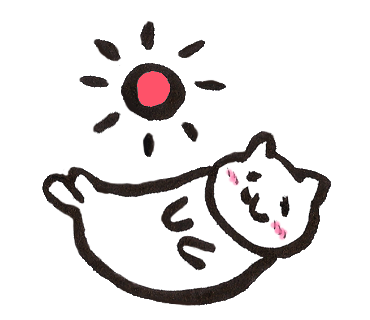 It is cute! It’s good enough to place it somewhere in my room as an art, isn’t it?! 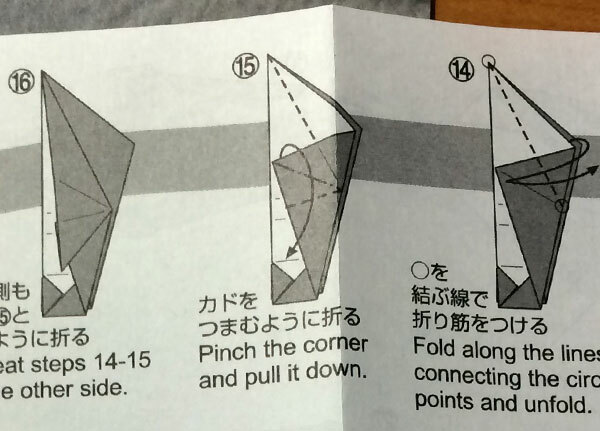 I was like “Oh I can make next origami, ok let’s try Seal!” But when I see this complicated instruction, I gave up immediately. Yeah, I would make it with my future girlfriend!